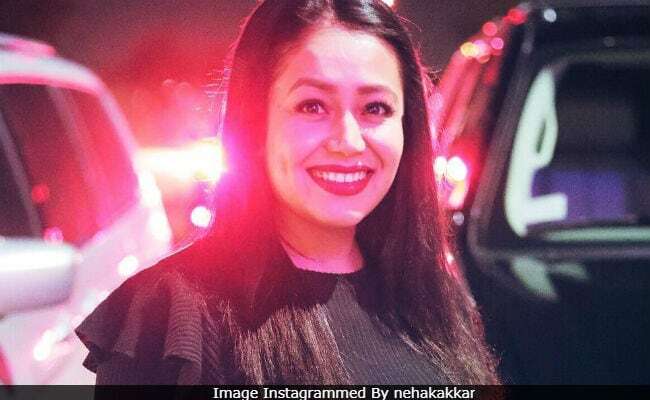 It wasn't long ago when singer-composer Vishal Dadlani said Neha Kakkar is "unbelievable" in front of the camera. She says she is happy being a singer and that she will only take up acting if the offer is too good to refuse. "I am happy being a playback singer and performer. I will only take up acting if the offer is too good to refuse," Neha told IANS in an email interview. For now, she is busy judging Indian Idol. It was back in 2006, when she participated in the singing-based reality show. She didn't win though. "I feel whatever happens, happens for a reason. I am just glad the way my journey worked out. It has been a tremendous learning experience," she said. Since then Neha has delivered many dance numbers like Kala Chashma, Sunny Sunny and Manali Trance. Wouldn't she like to break the monotony? "I am doing that in fact. My song Mile Ho Tum Humko, written and created by my brother Tony Kakkar, is the most viewed song on YouTube. Another song of mine Maahi Ve has been appreciated a lot. "My recent hit Oh Humsafar, which is a romantic song with Himansh Kohli and created by Tony Kakkar, hit 100 million (views) in no time. Which says it all." Despite giving many hits, she is yet to bag popular awards. Does that bother her? "No, it does not bother me. I have won the hearts of many. So that matters more than any award. The love of my 'Nehearts' - my fans, is more than inspiring and encouraging," said Neha. She is also thrilled as she is the "most followed Indian artiste on Instagram". "My fans love me unconditionally. So, it becomes my core responsibility to never disappoint them on any level. I always try to give something special to my fans," she said.